It’s been a while since I last posted, but I have been jerked out of complacency by the stunning return of the equine menace known only as Horse-boy. When last we saw him, he was haunting Hardgate Street in Aberdeen, spreading fear and misery in his wake. As I’m sure you’ll remember, we uncovered the terrifying truth about Horse-boy. THAT HE DOES NOT HAVE A FACE. Now, as Hurricane Sandy threatens the eastern coastal regions of the United States, he has returned. Having turned the corner to be confronted by a camera crew, he took the quick decision to pose as a simple horse-headed jogger. But what is his real reason for being there? You can’t fail to have heard about the recent rain of dead and dying blackbirds in Arkansas over the new year. Up to 5000 American Blackbirds were found dead or dying in the streets and gardens of Bebe, Arkanas. Less well covered is that this seems to have coincided with a mass Drum fish-die-off in the same state. Arkansas game officials hope testing scheduled to begin Monday will solve the mystery of why up to 5,000 blackbirds fell from the sky just before midnight New Year’s Eve. Insomniac Games deny responsibility for the Louisiana Monster picture. Louisiana Hominid caught by Hunter's Camera. Maybe. The viewer claims this is NOT a hoax. NBC 33’s Tyler Gamble finds answers today. Watch NBC 33 News at 5 to see what he can find out. Sound like rubbish? That has not stopped it from being plastered all over the news across the US, and indeed the world. The UK’s Daily Mail is convinced that it’s Spider-Man, continuing their proud tradition of being utterly wrong about everything. Gee. Well if the anonymous viewer says it’s not a hoax, that should be good enough for everybody, right? No need to actually investigate any of the details. It is said that this mystery hunter uploaded the picture to the website of Wildgame Innovations, a company specialising in track camera’s and deer attractants. That is certainly their logo on the picture. That logo is affixed to any of the user-submitted pictures on their website. Oddly though, I can find no mention of the monster picture on the website, or anything monster related at all. I have tried to get in contact with Wildgame Innovations to find out if they actually ever had anything to do with this picture, or whether the viewer just stuck their logo on it to make it look more authentic. I’ll report back if they get back to me. But a later tweet has stated that they were just joking. Unsurprisingly, only the first tweet has gotten any coverage. 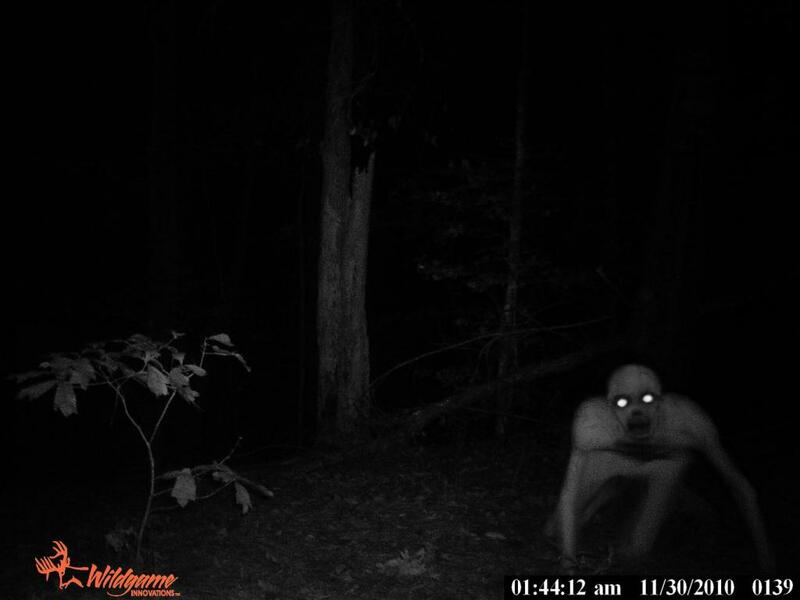 I have some interest in cryptids (I’m an ecologist by training), and I’d have to say that I’m pretty sure this is a fake. The creature looks too smooth, for starters (I’m assuming it’s made of flesh and blood. If it’s some sort of ghost/demon/killer robot all bets are off.). Then again, I don’t like to totally rule anything out without evidence. Chances are it’s a viral for…something. If not Resistance, than for some upcoming horror film. Or maybe it was just some very free worldwide advertising for a certain purveyor of deer attractants. If you’ve not yet had your fill of terrifying monsters, you could check out our investigations into Horseboy or The Creepy Gnome. Update: I just noticed. The timestamp on the picture is entirely different between the still I’ve got and the one used in the video. 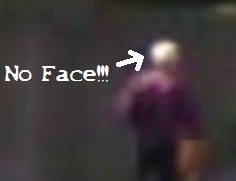 The still picture is from the 11/30/2010, while the one in the video is 12/04/2010. I find it very hard to think of any legitimate reason why this would be the case. Panic is sweeping the streets north of the border, as the good folks of Aberdeen awake to a new threat. A creature with the head of a horse, and yet the body of a boy, stalks the streets fearlessly by day. Behind locked doors they whisper the name “Horse-boy”. We’re no strangers to paranormal investigation here at Ark’s Ark. So it is that I can reveal, after painstaking research, that Horseboy does not in fact have the head of a horse. Also, we don’t think that he’s a boy. The truth is far more terrifying. We can clearly see, in the picture taken at 6 Hardgate, that the Horse-boy entity is clutching a brown object in his hand. Whether it was recently removed from an actual demon-eyed horse or is just made of papier mache is unclear at this time, but over the next couple of pictures we see Horse-boy hurriedly place it over his own head. Cleverly he has tried to draw attention away from the real mystery. Observe, as we follow his actions on the Hardgate road as captured by the Google Street View car as it unsuspectingly drove towards him. Did he distract you too? Don’t feel bad if he did. Not everybody’s senses are as highly attuned to the supernatural as ours. HE DOESN’T HAVE A FACE!!!! That’s right. It is clear to us that this.. this creature put the mask on so that we would not notice that his head is a featureless mass of flesh. But it is worse, much worse than that. Further research through Google Streetview records reveal that these faceless monstrosities are all around us. Perhaps, like certain other entities, they are invisible to the naked eye, or use strange mental powers to create the illusion of facefulness to those nearby. These powers would not work on someone viewing a photo, of course. Sadly, Google have not yet released the data that would show if Horse-boy, and those like him, are natural wi-fi hotspots. We know this information was collected. If so, it is possible they could be harnessed for the good of humanity. What is to be done? Well, we have not ascertained as to whether Horse-boy and his friends are any real threat, though their numbers are disturbing. Perhaps they have always been here. They’re almost certainly less annoying than the Owlman, and less terrifying than the Creepy Gnome, so for now, we suggest caution and further study. Arkwatch: The Mount Ararat Structure. Time had a post yesterday with the title “Has Noah’s Ark Been Discovered in Turkey?“. I hate titles like that, as they always make me want to just say “No, it probably hasn’t.” While I suspect history is far more interesting than we know, I’m not so up for evidence that has been rustled up with folks with the agenda of proving that our planet is less than ten thousand years old. I believe many wonderful things, and hope many others are true, but I have trouble with that one. As it happens, I am considered one of the world’s leading experts on Arks of all kinds. OK, both kinds. The floaty type*, and the sort that blow things up and melt Nazis. I must be considered an expert on them because people from around the world are constantly coming to my website to seek my opinion on them, at least according to my site logs. Thus far they have been sorely disappointed, but today I shall grant their pleas, and I shall try to focus my deep understanding of Arkaeology upon this new discovery. It is in the right place. Noah’s Ark was supposed to have come to rest in the mountains of Ararat, currently in Turkey, of which Mount Ararat is a part. 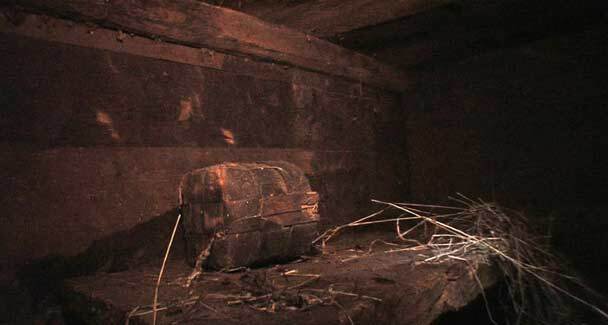 This Ark has been found inside a glacier, and is apparently in quite good shape, considering. A glacier could help to preserve organic material, though glaciers, being ever in motion, are also rather good at grinding things apart into gravel. The team, a collaboration between the Turkish Government and the China-based Noah’s Ark Ministries International Limited, won’t tell regular scientists exactly where the site is just yet, but they have provided some photos. Let’s take a look! That certainly is very well preserved. From what I can see, it is taken inside the ship, in a cabin perhaps. The raised platform could be a bed, or a bench. I’m particularly impressed at the freshness of the straw, presumably left over from feeding the animals, of which you will recall there were 2 of each kind, except for animals deemed to be clean, of which there were 7. I’ve often wondered how Noah got his hands on polar bears. Carefully, one would suppose. The straw could also be bedding, I guess. I’m unsure exactly what the structure in the middle of the picture is. It might be some sort of odd chair, but it looks a bit too complex for that. Probably is a container. I want to call it a chest, given the shape. Perhaps Noah kept his precious booty within it. 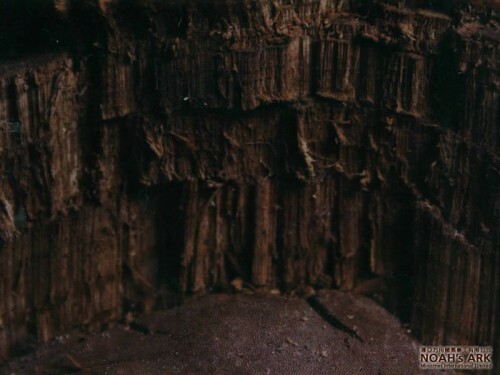 The team reports that carbon dating has shown the wood to be 4800 years old; more or less what you would expect it to be if it were part of Noah’s Ark. Curiously, and with splendid irony, carbon dating has been thoroughly debunked by creationist scientists, who say that it will always make objects appear to be far older than they really are, if they are from before the biblical flood, as they believe there was much more carbon about pre-flood. As the wood used to build the Ark quite obviously grew and lived pre-flood, it is odd that they have suddenly forgotten this objection. If carbon dating is reliable, then it shows the world is far older than 10,000 years, and if it is not reliable, then why are they using it? In another part of the structure they have found a massive chamber. To give you a sense of scale, a diagram shows a human coming up to about halfway up one of those horizontal bands, with the picture being about 7 people high. That’s a big…something. I’m not too sure quite what to make of it. It looks like three bands of vertically aligned, um, planks? It’s not clear how those bands are joined together, or what is stopping it from collapsing. It seems a very odd way to build a sea-worthy vessel, especially if that banded wall is the outside of the ship. 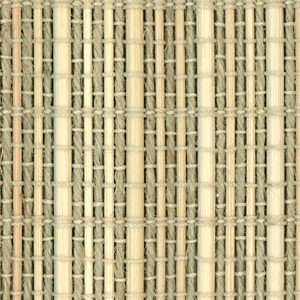 It looks almost like those wicker or reed blinds you can get, if you bashed them around a bit, soaked them in tea, and covered them with mud, even down to markings that resemble where the strings would go. Of course, those blinds are much smaller, and the diagram clearly shows that this chamber is huge, even more so if you consider where the camera would have to be to take that picture. Also, what is going on with the floor? After 4800 years it still seems completely flat, but it has a weird texture to it. It doesn’t look like a ship’s floor. Almost like cobblestones. Even more like dungeon tiles. I am, perhaps, being a little mean. While the pictures do look rather too good to be true, the involvement of Turkish governmental scientists does suggest this isn’t all just a hoax. Unless these governmental scientists happen to work for the Turkish Ministry of Tourism. My Expert Arkaeologist opinion? Lets call it 3 doves out of 5. It’s a better effort than the rock that looked a bit like a ship that they found last time. If it is genuine, it might well be a find of great interest; an ancient building perhaps, but I’m betting against it being a ship. *The Ark in my site’s title is supposed to, metaphorically, be of the floaty persuasion. A fine vessel with room for all in which I sail about in search of true things. I suspect certain of my readership might think it more as something which shoots gouts of flame. 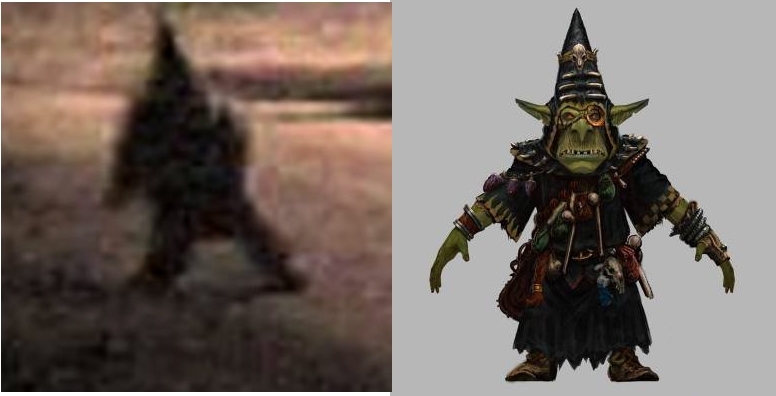 The “Creepy Gnome” is unmasked! This is an old post from a couple of years ago, but I thought it might provide some small entertainment to newer readers. There have been a number of incidents recently, in Argentina, involving a being known as a “Duende”. This has been badly translated for English media as “The Creepy Gnome”. In a number of appearances, including two caught on film, he has created hysteria wherever he goes. While he has yet to cause any physical injury, merely the sight of him is enough to force the taking of a SAN check, and not everyone has rolled well, with several people being hospitalised from fright. Here it is in full menacing action. It should be clear to any player of Warhammer Online that this is not a gnome at all. Firstly, those young people were filled with terror, and gnomes, whilst being completely awesome in every way, are not known for their causing of terror, and they like it that way. Secondly, no real gnome would be seen in a hat like that. It’s not a stereotype they want to reinforce. Those young people should consider themselves lucky it was an unarmed night goblin with the urge to dance that came upon them, and not a witch elf, or a chaos chosen. Nevertheless, even a single night goblin can be dangerous to the untrained, so they were wise to flee. Beware! Beware the Creepy Goblin!!! !